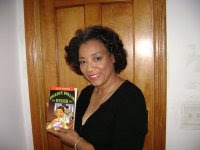 Arlene Jones - Featured Columnist Austin Weekly News: THANKS FOR PAYING ATTENTION THIS YEAR! I can't believe it! Another year is coming to an end, and it's time to write a recap for 2009. Sadly, I can take what I wrote at the end of 2008, just update the year and the same column would be as accurate for this year as it was for last year. I have a constant theme that flows throughout the 52 columns I write each year. For 2009, the theme was "Pay Attention." And many of you did just that. One of the biggest benefactors of that theme was President Obama. He has many defenders who have taken to the Internet and airwaves to refute the many unfair attacks against him. From the sick cartoon of a dead monkey shot by two police officers to the "Pray for Obama T-shirt," his defenders have been out there defraying the attacks. Youth violence continues to be a subject the black community cannot ignore. The brutal murder of Derrion Albert wasn't just "caught on tape;" it was filmed by those I call "spectator participants." The person holding the cellphone camera never attempted to call 911. From the ignorance of those who used planks and boards to kill Derrion to the ones who stood around and watched, the black community has been forced to "pay attention" because we were forced to finally look at what some of our young people are capable of doing. But Derrion's murder isn't the only crime going on. We still have too many shootings, robberies, and crimes in general being perpetrated by those who can't even buy a drink. I am waiting to see if we can get a black candidate to run for any office on a "law and order" ticket. I went to Cook County Jail this Christmas with Rainbow Push to see the number of jail inmates in there who are African-American, and it wasn't a happy sight. Out of the 600 or so inmates who came to the service, about 100 were women and 90 percent of those were black. I am very proud when I see all of Chicago finally paying attention to what is going on in this city. Last winter, I watched with a smile as Northsiders got irate when the mayor claimed that shoveling snow from the side streets wasn't in the budget. We also had the entire city up in arms because of the parking meter fiasco. And if we really want to show that we're paying attention, we need to have our state or federal legislators overturn the parking contract because no mayor or city council should have the right to place a 75-year burden that digs into the pockets of city residents. It's outrageous to lease out existing meters, then add additional meters in areas that didn't have a meter before. Chicagoans also paid attention so much that the IOC saw through the smoke-and-mirror screen and awarded the Olympics to Brazil. No one did a happier dance than I because the Olympics would have been the excuse to eradicate a lot of black neighborhoods. I won't keep going on and on because I've already done that with the columns I wrote. So as I say goodbye to 2009, I ask each of you to continue to "Pay Attention" to what is going on. Happy New Year and keep reading this column and supporting this newspaper in 2010! Our Leaders have been strangely silent regarding the violence in our communities. When it is time to sign their petitions, I shall return the favor and refuse to sign just as they refuse to do anything but line their own pockets. They steal money, clout their relatives into the best city jobs and latest revelations reveal the theft of our kids education at good schools for the gifted-something they earned through hard work and determination. As for waiting for a politician to run on a platform of law and order, do not hold your breath.